Life at the bottom of the food chain is hazardous and short. Having lots of offspring is the best strategy for dealing with so many predators eager to put you on the menu. No one likes being at the bottom of a food chain. For humans, that often means the dirty, low-paying jobs and that is no fun. In nature, being at the bottom of the food chain is significantly worse. It suggests that your life is likely to end abruptly and violently. Just about any predator -- from the diminutive weasel to mountain lions to eagles -- will find a cottontail rabbit a tasty meal, meaning the life expectancy of cottontails is often measured in days or months. That's not to say that a rabbit or other small and abundant animal doesn't have the capacity to live longer. 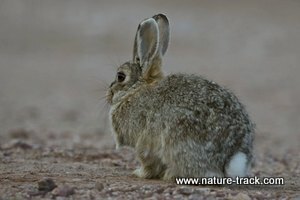 In an environment free from predation and disease and where food and shelter are always provided --a zoo for instance -- desert cottontails can live eight years. Maybe captivity isn't so bad. How do mice, ground squirrels, rabbits, voles and other creatures that perform the dirty work at the bottom of the food chain keep from going extinct when they are on everyone's menu? Basically, the old joke about Noah having to remind the rabbits, "Only two," isn't so far off. The survival strategy for life at the bottom is, breed early, breed often and have large litters. Rabbits follow this model. They breed three to four times per year and their litters range from three to six offspring per litter. Other species take reproduction to the extreme as well, just to keep up with the tremendous pressures from all their predators. For instance, a deer mouse’s gestation lasts only 25 to 30 days and she breeds every three to four weeks during the summer months and squeezes in a couple more litters during the winter. The average litter size is five, but a single female can have up to 11 pups. Young deer mice are independent within about 35 days and a female may produce her first litter by three months old. That all adds up to an incredible reproductive rate. 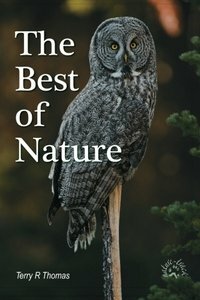 Within seven generations, about a year, a single productive female has the potential to have more than 800 offspring, enough to keep every coyote, owl, bobcat, bull snake and weasel satiated, while allowing the species to carry on with the business of life. Besides overwhelming hungry predators, this high rate of reproduction has an added advantage. The more generations an animal can turn out in a season, the higher the genetic plasticity for that species. In other words, the more offspring they can produce, the better the odds that at least a few of them will be prepared for any changes that might come. For an animal to survive long at the bottom of the food chain, it also pays to be fast, well-camouflaged and nocturnal. Good ears and eyes that can scan for trouble in any direction may increase survival odds too. But even with great skills and assets, life will be short. Only popping out offspring at an almost exponential rate will save the species.